Dr.K.Prabhakaran is well known practitioner and dedicate himself for the development of Homoeopathic system. His contributions include publication of articles in leading Journals, sharing clinical experiences and social events. 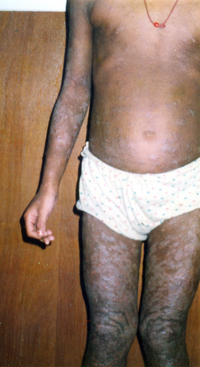 Here he present a short case on Atopic Dermatitis. A girl aged 8 years was brought to me for skin complaints since her six years. She had many treatment and the physicians diagnosed it as Atopic Dermatitis. She had been treated with topical applications and steroids. She presented the skin lesions with thick dry, crusty all over trunk upper and lower extremities. 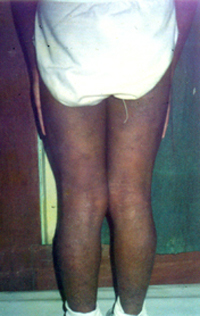 Itching was severe when exposed to cold. Further followup for one year, No recurrence of eczema.